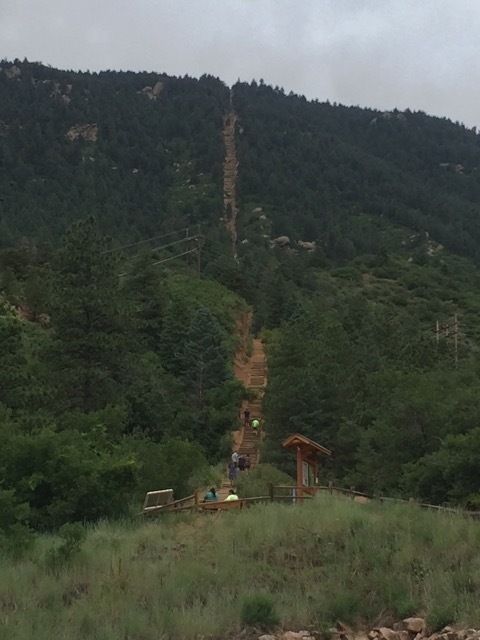 It was a cloudy cool morning and the 2,000-foot stairway that scaled less than a mile high on the mountain lie ahead. Even squinting you could barely make out what looked like the top but called the false summit as it supposedly went on another few hundred feet beyond what was visible. 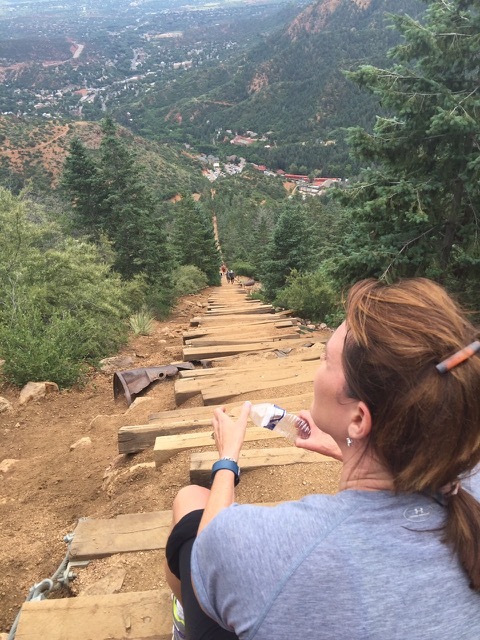 My family invited another to join us on what is a popular fitness challenge in the Colorado Springs area, the Manitou Incline. Hiking is what we do in Colorado so we never thought much about whether any of us could or couldn’t do it. So we started climbing. We think of children, in this case between ages of nine and 15, as being young and full of energy. We might think they have an easier time getting through physical tasks. What I notice time and again, they are the first to complain and want to rest. Part of it is their interest diverting. But in this case they started out rushing up the stairs and even jumping from step to step eager to get going. However, the steep grade, 68-percent in some areas and the high altitude quickly had their tongues wagging like dogs out the car window. The challenge was mounting and their mental attitude was immature. This was going to be a good lesson for them. For all of us. Fortunately since the young-ins were quick to rest, us older people caught a break. Especially our friend Jeff, who only has a few years on us, but had taken a break from regular exercise as his life got busy. We could sense his frustration as he climbed a chunk of stairs and paused to gasp for air. Several times he indicated he would turn around. We just kept encouraging him and advocated for all of us to make it to the top and celebrate together. Research finds when there is a difficult task to finish most people do better with a group. They are more motivated, more interested and invested in the outcome. Humans are, after all, social creatures. 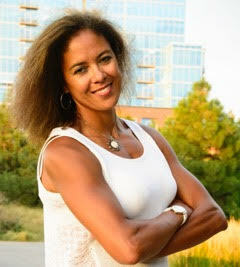 Numerous studies have also shown that people are more likely to work toward a fitness goal with social support. That’s why so many find success by working out with a buddy or connecting to the people in a fitness class or sports team. In all likelihood it wasn’t our peer pressure that pushed Jeff up the incline. We made it clear it was okay if he turned around. What brought him and the rest of us, panting and staggering to the mountaintop, was grit. Mental toughness and perseverance kept us climbing until we finished. According to University of Pennsylvania researcher Angela Duckworth, mental toughness is essential to high achievement be it physical, mental or creative. Those who have it are more likely to be successful. Are you mentally tough enough to reach your goals be it getting fit, increasing strength, finishing a race or whatever it is you want to achieve? Fortunately you don’t have to be born with grit. You can develop it. Writer and behavioral expert James Clear recommends three steps to developing mental toughness. Define what mental toughness means for you. Figure out your goal what you need to overcome to achieve it. Is it getting up earlier? Doing an extra workout? Changing your diet? Build it through small steps. Avoid hitting the snooze button and get out of bed right away. Nine reps might be good enough, but push through to the 10th. Or say no to adding sugar to your coffee. Make good habits. Commit to a friend to meet for a morning workout. Make a plan and don’t let yourself leave until you’ve done it. Avoid buying food that will sabotage your fitness goal. The kids had youth on their side and their parents to push them up the incline. The rest of us had to live up to the fact that this adventure was our bright idea. It was a true physical and mental test for us all. We cheered and congratulated one another at the top like we conquered Mount Everest. We did in a sense. We crushed any self-doubt that surged and we stayed determined to reach the top. A great lesson for young and old.